Today I have a swatch of Color Club's Over the Moon. This is a part of the Halo Hues 2013 Collection, which is pretty popular with nail polish lovers. 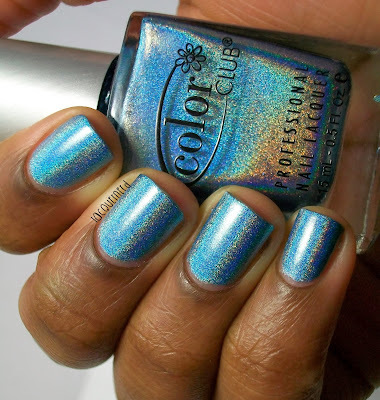 I only have one other polish from this collection (Eternal Beauty), but these are awesome holographic polishes and I hope one day I can get them all. I decided on this polish because I'm actually going to tour a beauty school today to learn about their nail program! Yeah, I'm thinking about going to school for nails as a backup plan if I can't find a job in journalism. I'm not sure if I'll be going to this school, but it's nice to check out all my options. I kind of wanted a fun color for my nails, so I thought this would be the perfect color. It's also a good color for the holidays in my opinion. 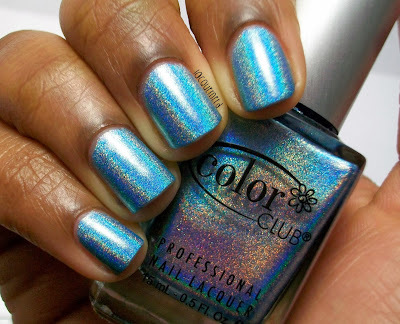 Over the Moon is a medium blue holo polish. When it's not in the light, to me it comes off as a silvery blue. This is two coats with a top coat. I'm kind of regretting the top coat because it dulls the color down a bit. Without the top coat, this color is very bright and vibrant. It still looks pretty though. I would wear this without a top coat from now on though. The application and formula were great. The polish dried pretty fast in between coats, it was easy to apply, and I didn't have any problems with the formula. The next three pictures down below were taken with flash. You can see how much vibrant the color is with the flash. On my cellphone camera, this polish is very bright and the holo comes out way more than my regular camera. I guess it just depends on the camera though. I love this polish! I wish I had bought some of the other colors in the collection when I first bought these. They're so pretty and my only holographic polishes in my collection (yeah I know, I need to buy more lol). 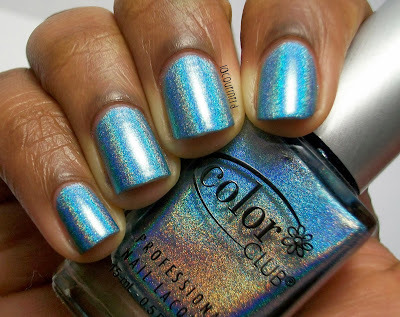 If you're looking for good holographic polishes, I would defintely check this polish and the rest of the Halo Hues collection. What do you think of this polish? What's your favorite holographic polish? 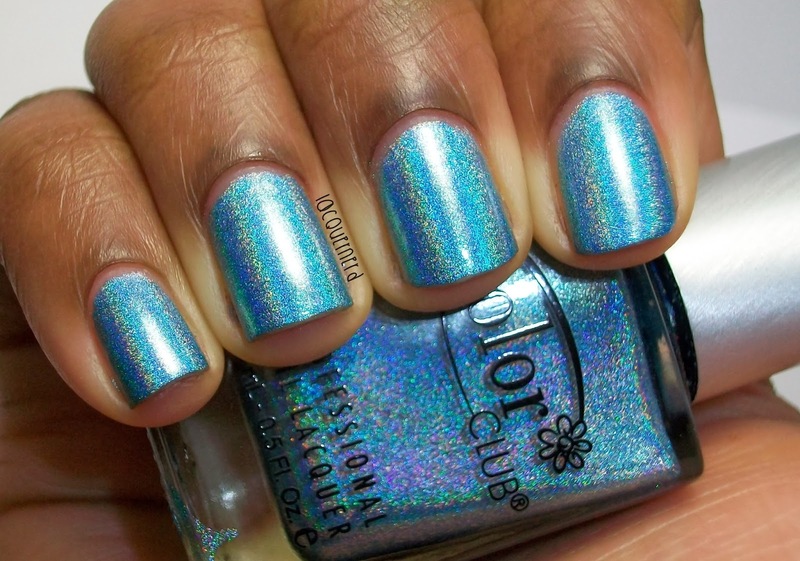 I need this polish right now! Great post and amazing job capturing the color.